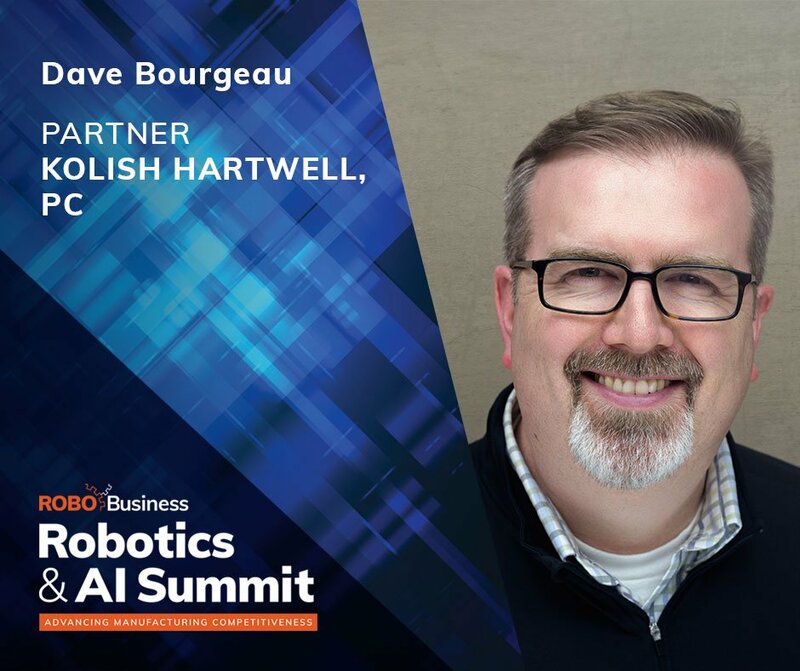 Dave Bourgeau of Kolisch Hartwell and Alex Wall of Marketo will act as co-panelists for an interactive discussion of the legal, ethical, social, and cybersecurity implications of Robotics and AI, during the CRO portion of the Robotics & AI Summit, on June 18, 2018, in Boston, MA. The Chief Robotics Officer (CRO) Summit is a gathering of professionals whose responsibility is evaluating and managing the deployment of automation, AI, robotics and the latest intelligent technologies into their organizations. This event provides educational offerings and connections to peers who will discuss the latest regulatory challenges, shifting consumer behavior, new technologies, and tactics to maintain a competitive edge.